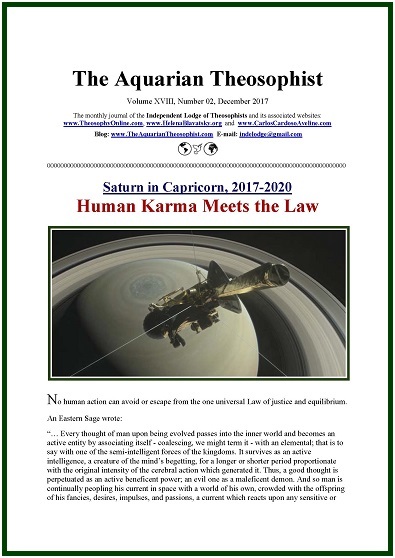 The December 2017 edition of “The Aquarian” opens with the article “Saturn in Capricorn, 2017-2020: Human Karma Meets the Law”. Starting on page three, we have the article “The Inner and the Outer”, by Geoffrey A. Farthing (1909-2004). On page seven, “A Note on Skandhas and Karma”. 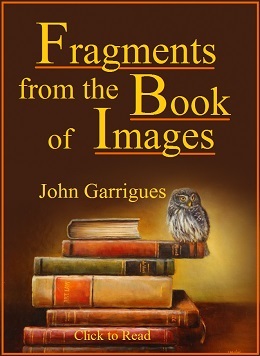 Page eight presents “The Writings of an Eastern Master - 08; Transcriptions from the Letters of Blavatsky’s Teacher”. Immediately after that, “The Writings of an Eastern Master - 09; Courage is Needed to Defend Helena P. Blavatsky”. The classic short story “The Heavenly Christmas Tree”, by Russian writer Feodor Dostoevsky, is on pages 12-15. The 16-pp. 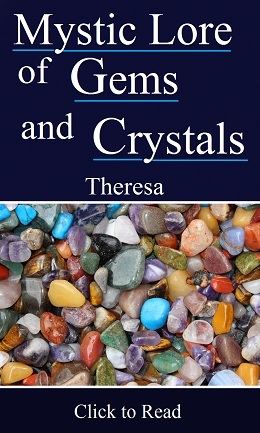 edition includes the List of New Texts in our associated websites and hyperlinks to various articles on Christmas.